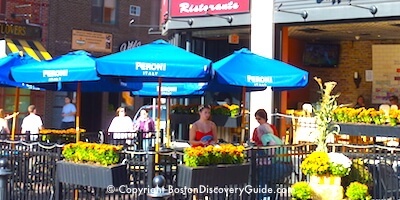 Wondering what to do in Boston for free? 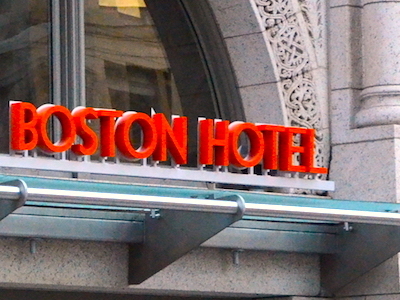 Great news - many of the top Boston attractions are free or almost free. The Freedom Trail, Shakespeare on the Common, the gala Boston Pops concert and fireworks on July 4th, free movies and concerts all summer, the huge First Night celebration on New Year's Eve . 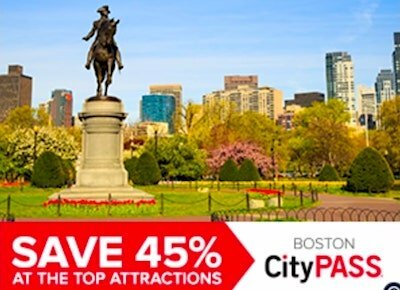 . .
With so many free festivals, celebrations, tours, parks, concerts, museums, sports, and kids activities, you'll feel like you're getting a 100% discount on the best of Boston. We've rounded up the best free activities across the city so you can go experience Boston without spending a dime! 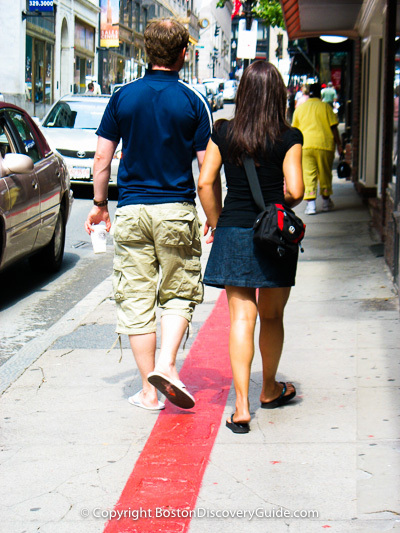 Touring Boston's 2.5 mile (4 km) Freedom Trail, marked by a red line, is one of the top things to do in Boston - and it's free. Want to see where the Sons of Liberty gave the secret signal for the Boston Tea Party? Where the Redcoats massacred 5 colonists? Where the Battle of Bunker Hill raged? As you take a walk through history along the Freedom Trail's red path, you'll see these plus 13 more historic sites in historic Downtown Boston, the Italian North End, and picturesque Charlestown. Only 3 Freedom Trail sites - Old South Meeting House, Old State House, Paul Revere's House - charge nominal admission fees if you want to go inside. Along the trail, you can visit more free Boston attractions. Near Faneuil Hall, stop by Faneuil Marketplace and enjoy free entertainment by street performers, or visit the Boston Holocaust Memorial and colorful Haymarket. When you visit the USS Constitution, go on the free tour of the ship and then explore the free Constitution Museum. 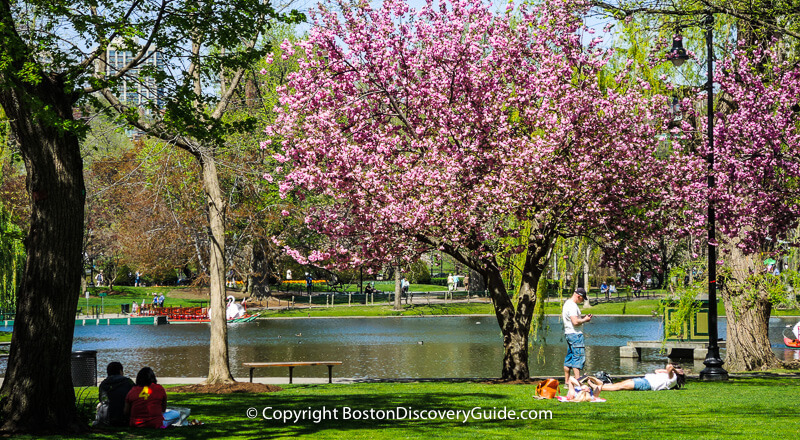 Pick up free maps in the Tourist Information Center on Boston Common (across from Tremont Street / West Street intersection) - and also join a free 90 minute tour provided by the National Park Service, weather permitting. 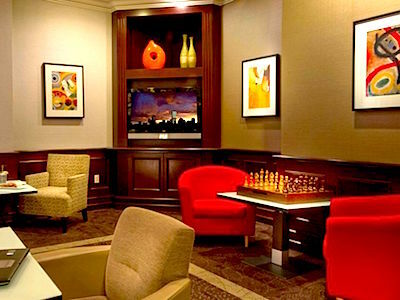 Check for attractive rates at these hotels near the section of the Freedom Trail in Boston's historic Downtown area: Harborside Inn, Club Quarters, Omni Parker House Hotel. 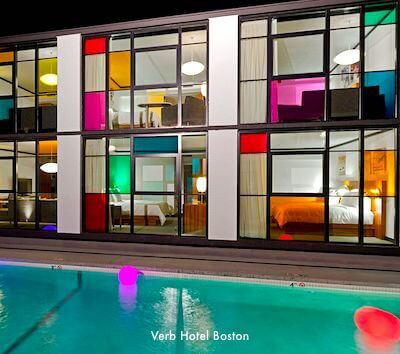 To be near the North End sites, try Yacht Haven Inn and Bricco Suites. For the Charlestown sites, check the Constitution Inn, or for a reasonably-priced suite, Residence Inn at Tudor Wharf. 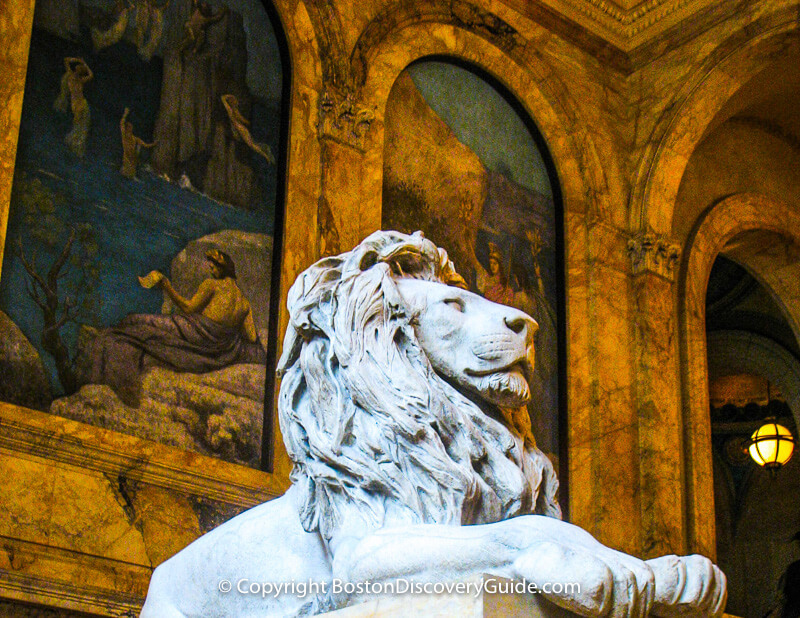 Museum of Fine Arts- World-class art - Children and teens from 7-17 free after 3pm on weekdays, plus all day on weekends and Boston public school holidays. Children 6 and under free at all times. Also free if you have a Boston discount card. MIT Museum - Super technology and science exhibits - Free admission on Sundays 10am - noon, and second Friday of each month, 5pm - 8pm. If you're wondering what to do in Boston with teens, you'll love this museum. Boston Children's Museum - Top favorite among Boston things to do with the 10 and under crowd - $1 admission every Friday night from 5-9pm. ICA Boston - Boston's contemporary art museum - Free admission for all from 5pm - 9pm every Thursday, free for families (up to 2 adults accompanied by children 12 and under) on the last Saturday of each month except for December), and free for kids 17 and under at all times. Free for anyone with a Boston discount card. Stargazing at Gilliland Observatory, Charles Hayden Planetarium at the Museum of Science - Free every Friday night from 8:30 - 10pm, weather permitting (thank you, Lowell Institute). Features a computer-controlled Celestron CGE 1100 Schmidt Cassegrain telescope; call 617-589-0267 to confirm the schedule (if weather conditions seem iffy) and to find out what's on view. Details: Roof of the parking garage; Museum of Science, www.mos.org - click on Planetarium link. 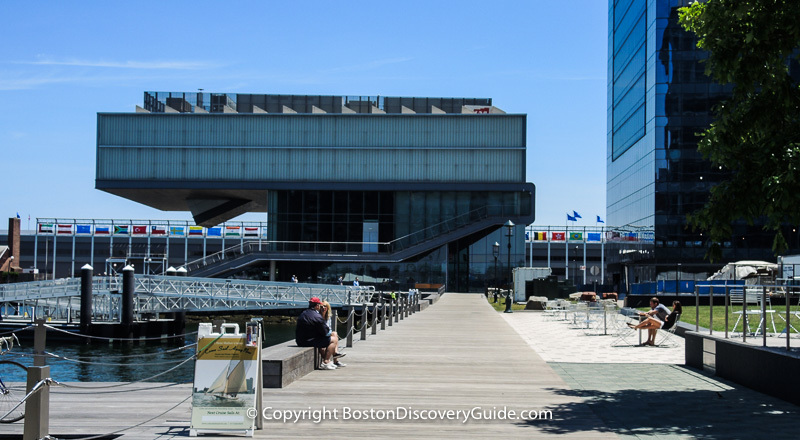 Keep in mind that if the free museum days don't work for you, you can get a Boston discount card for free admission to many museums as well as other Boston attractions. Use these discount passes for admission to lots of other attractions, museums, tours, and cruises. 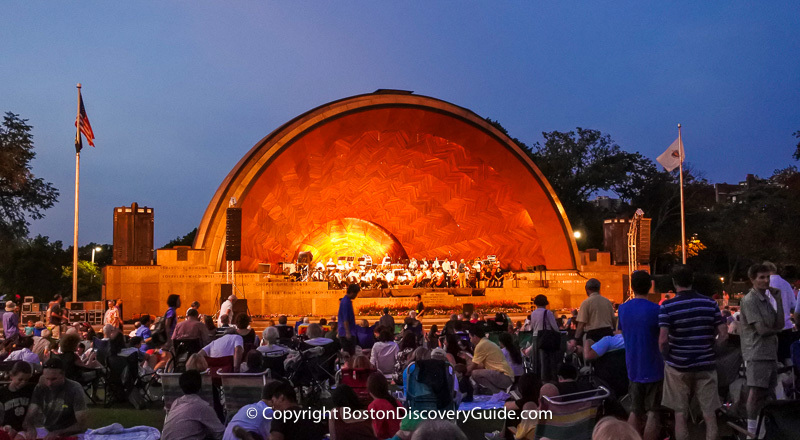 Free Boston Pops concerts on July 3rd and 4th - Hatch shell on the Esplanade. Concert on July 4th is followed by the followed by spectacular fireworks over the Charles River. Hatch Shell - Concerts range from classical to pop - plus they're all free! Check our event calendars for July and August for a dates and times for the free Landmark Orchestra concerts. Berklee BeanTown Jazz Festival - This wildly popular festival takes place in September and features many free performances. The Boston Pops and Boston Symphony Orchestra perform at acoustically-perfect Symphony Hall during much of the year. Performances usually aren't free - but discount tickets may be available, especially if you're a student, under 40, or 65+. Check for availability: www.bso.org. Goldstar frequently lists discount and half-price tickets for BSO, Pops, and other orchestras. Music School & Conservatories - Lots of Free Concerts! To see what's offered on a particular day, check out events calendars for the following schools. Most concerts take place in Jordan Hall - incredible acoustics! With so many music colleges in Boston, we have lots of musicians looking for venues. 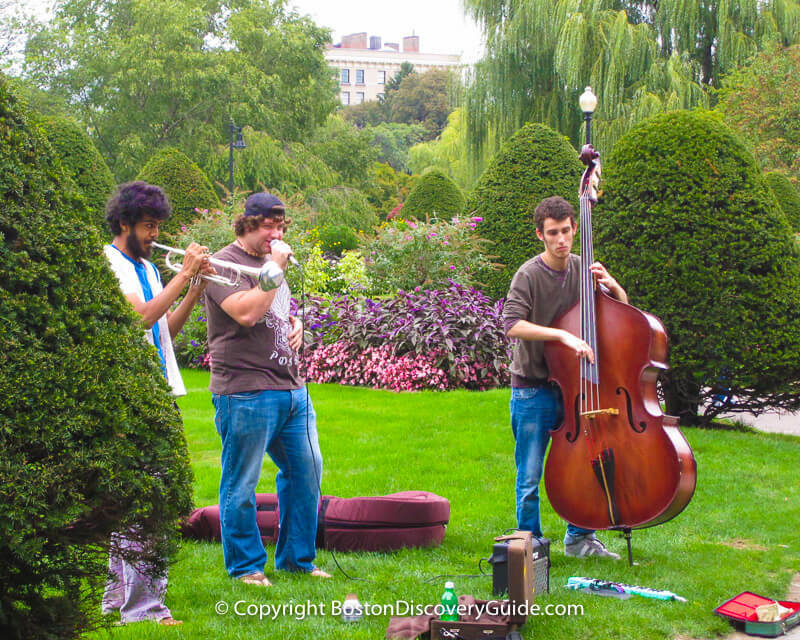 Look for talented musicians performing in the Public Garden, Christopher Columbus Park, other spots near the Boston Harbor waterfront, Downtown Crossing, and even popular subway stations such as Harvard Square. While these performances are free, you'll usually see a hat or instrument case with a few dollars in it. If you enjoy the music, contribute a dollar or two. For the price of a beer (and occasionally a small cover), you can hear live music on almost any night of the week at many of Boston's bars and pubs, especially if they have an Irish theme. Several to consider: Lansdowne Pub and Bill's Bar on Lansdowne Street across from Fenway Park, The Black Rose near Faneuil Hall, and the Green Dragon, one of Boston's historic taverns. For the price of a cocktail, go to the Lounge at the Top of the Hub to hear live jazz (and enjoy spectacular Boston views from the 52nd floor - an alternative for paying to see these same views from Prudential Skywalk). Shakespeare on the Common - free performances under the stars on Boston Common each summer. Goldstar Events occasionally offers free tickets to theater and comedy club performances, along with many half-price tickets and deep-discount tickets. Sign up for Goldstar discounts to get notices about what's available. Quincy Market Street Performers - Not quite theater - but usually very theatrical - mimes, magicians, comics, stilt-walkers, jugglers, musicians, actors . . . look for these talented "street performers" around Faneuil Hall Marketplace almost every weekend and holiday. 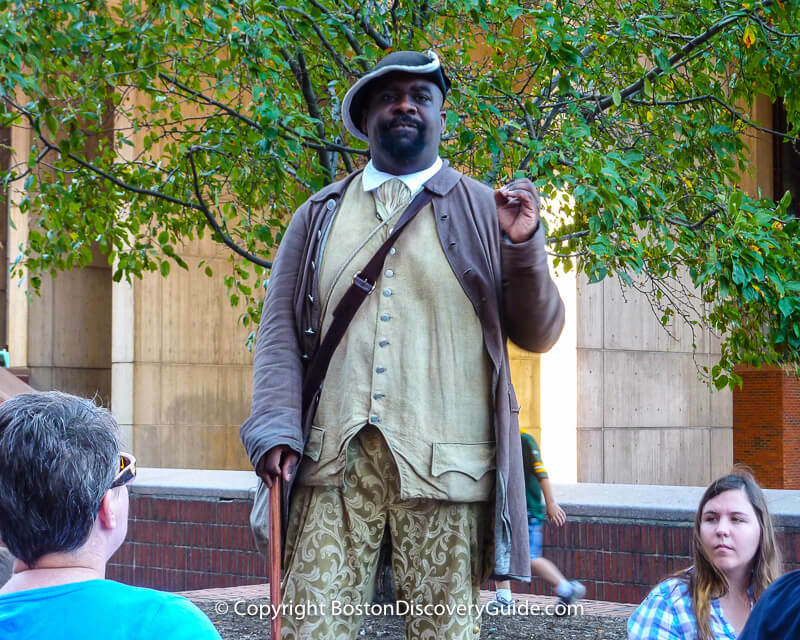 Historical re-enactments take place throughout the year at various Freedom Trail sites, especially in the vicinity of the Old State House and Faneuil Hall Marketplace. One of the biggest events is the annual re-enactment of the Boston Massacre during March. Patriots Day - Boston's biggest re-enactment event takes place in April each year to commemorate the beginning of the American Revolution. Here in Boston, we're fanatics about sports - doing sports, watching sports, talking about sports, dreaming about sports. We hope you feel the same way because sports fans will find a lot to enjoy here for free. If you're going to be here when the weather is good, tuck a frisbee into your suitcase. 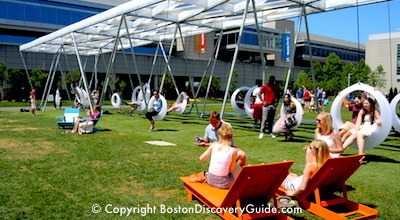 Once you arrive, head to Boston Common or the Rose Kennedy Greenway for a little exercise and fun with your frisbee. Or, in winter, go ice skating on Frog Pond (you'll pay a small fee if you're over 13). Go for a run or bike ride along the Boston Esplanade, the strip of park land bordering the Charles River. Or plan your own Boston bike tour (didn't bring a bike? You can rent one cheaply - check out our new Hubway system). If you're here on the third Monday in April, watch the Boston Marathon from a spot along the route. You'd rather participate? 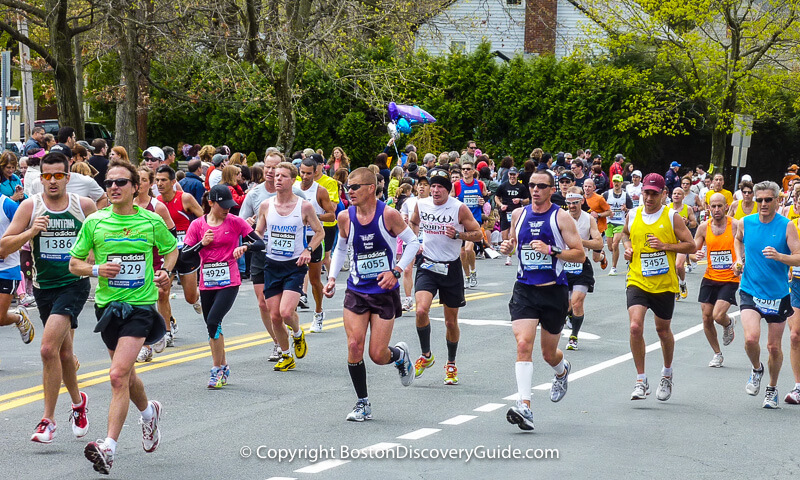 Check out the Boston Marathon qualifying times, and start training! In April, walk over to the Charles River to watch Run of the Charles, the biggest canoe and kayaking race in New England. 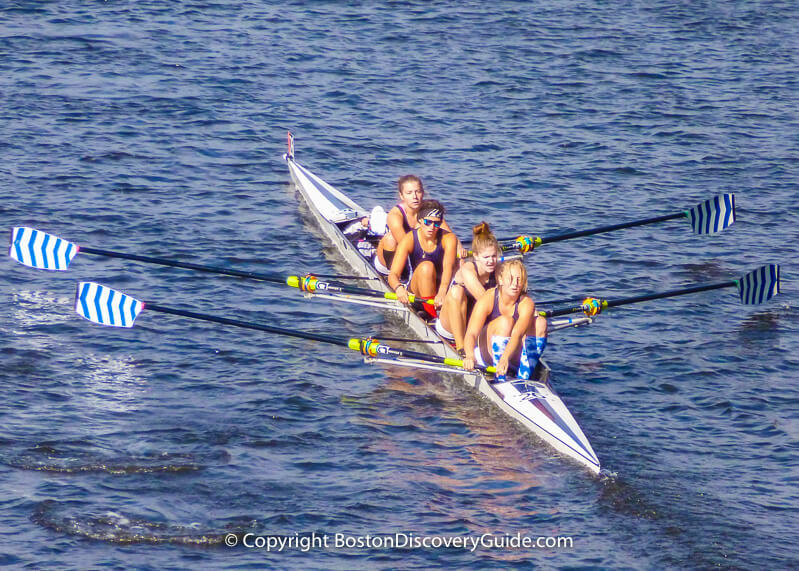 In October, head back to the Charles River to cheer at the Head of the Charles Regatta, a huge rowing event attracting athletes from all over the world. Watch a Red Sox game (or any other game) for the cost of a beer by joining other fans in the Boston bars near Fenway, where you'll find plenty of plenty of large definition screens and non-stop sports. A Fenway Park tour offers an affordable way to see the ballpark up close. If you feel your Boston visit won't be complete without going to a game, search for cheap tickets at TD Garden and Fenway Park. Although you may not find them for every game, they are available more often than you might expect, so it's always worth looking. Boston's compact size means that you can walk just about everywhere. This is fortunate, because driving in Boston is a nightmare if you're not used to it and parking can cost a small fortune. Pick up a free Boston map at the Information Center on Boston Common, near the area where West Street intersects with Tremont Street (which runs along the east side of the Common). These maps also show the Freedom Trail sites, as well as the Harvard Square area of Cambridge. Enjoy Boston parks while you're walking. Stroll along the Rose Kennedy Greenway from Chinatown to the North End. Explore HarborWalk along Boston Harbor. Walk (or jog) along the Esplanade next to the Charles River. Cut across Boston Common and the Public Garden when walking from Downtown to Back Bay, Beacon Hill to the South End. Too hot? Too cold? Not sure what to do in Boston in the rain? Explore parts of Back Bay from the inside. Starting in the Copley Place shopping area, you can walk through the sky tunnels to Prudential Center - and enjoy some great views at the same time - and continue on to Hynes Convention Center, all without going outside. Just follow the signs for directions. Really bad weather? Take Boston's subway (locally called the "T"). You can get a 7-day pass for not much over $20. Once you buy the pass, you ride the T as much as you want for 7 days . . . but that's not all. You can also use your pass for unlimited free rides on city buses, part of the commuter rail, and Inner Harbor ferries. Shopping may not exactly be a free thing to do in Boston . . . but if you're going to shop for a souvenir anyway, you might as well get something unique at an affordable price. From mid-May to late October, some of the area's best artisans and artists can be found on Sunday afternoons selling their creations beneath the white tents in SoWa Open Market in Boston's hip and trendy South End neighborhood. You'll find a wide range of mostly affordable prices. Want an edgy created-in-Boston t-shirt? This is the place to find wearable art, very cool jewelry, and loads of other have-to-have things. Buy something delicious to consume later or give as a gift. You'll find lots of delectable goodies in the small specialty food shops along Hanover and Salem Streets in Boston's Italian North End. 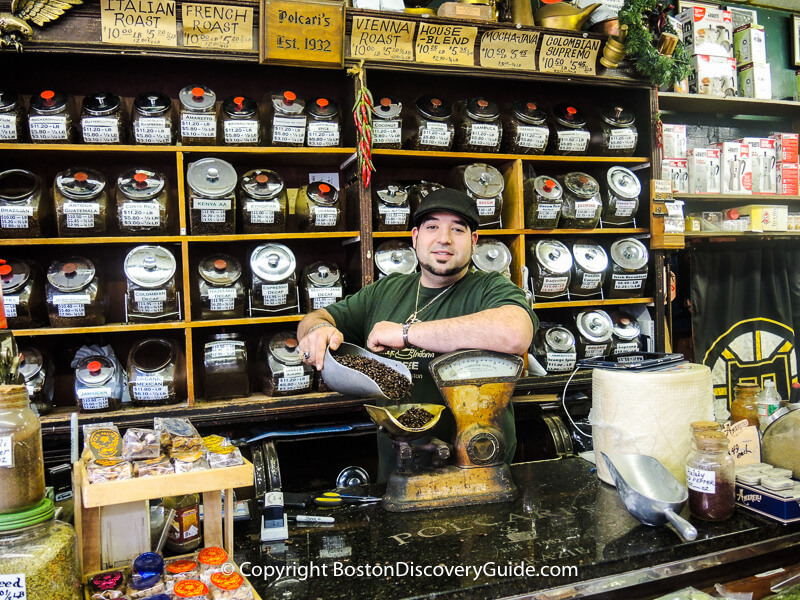 For example, shop for reasonably-priced coffee, tea, spices, and Italian candies at Polcari's Coffee (105 Salem Street). For even more choices, walk across the Greenway to Boston Public Market. 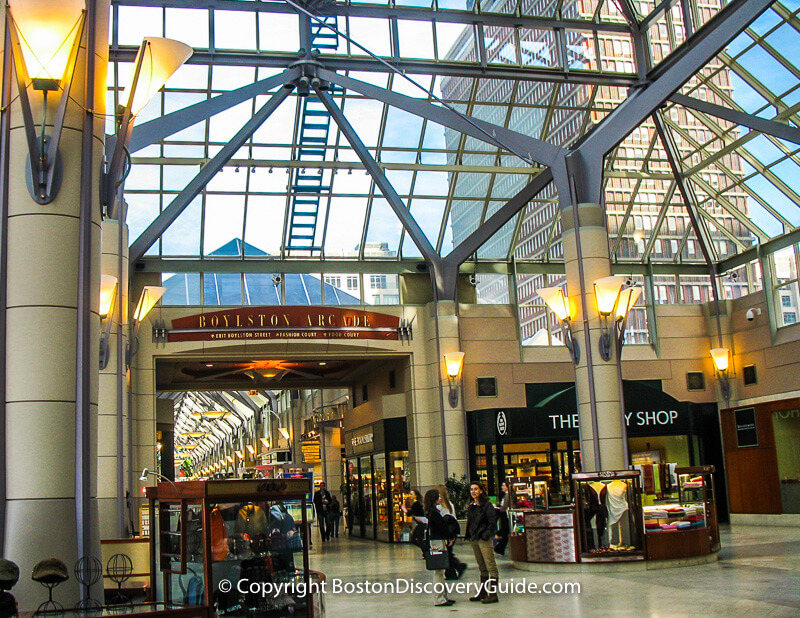 Explore Boston's many city (and suburban) shopping malls. Wrentham Village specializes in discount designer wear. Others usually have some great bargains. And remember, you'll pay no sales tax on each clothing item under $175, and Massachusetts sales tax on other items is only 6.25% - so if you normally shop in a high-tax area, you can save money by spending your money here. 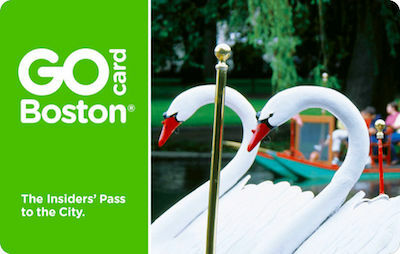 Take a Swan Boat ride on the Lagoon in the Public Garden. From mid-April through much of September, this is most relaxing 15 minute ride in town, plus you'll see beautiful scenery from the water. Not free, but cheaper than a small latte at Starbucks. Enjoy the splendor of gorgeous golden and crimson leaves from about mid-September into November at these top city locations to see Boston fall foliage. More free events take place each month. Check the Boston Events Calendars for the latest updates.